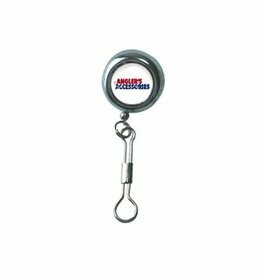 Tested to 10,000 pulls, this great stainless steel zinger is a must have! 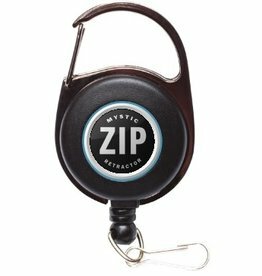 26” Stainless Steel Cord, and carabiner attachment. 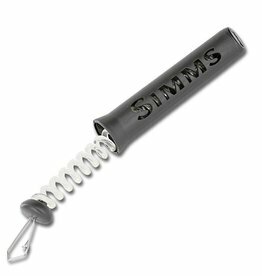 Dig less, fish more, and keep imperative tools primed for action via Simms' new and improved injection molded Retractor®. 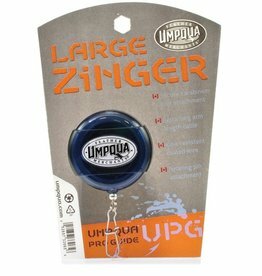 The Large UPG (Umpqua Pro Guide) zinger has a super secure swivel pin, over 3 feet of kink resistant coated wire, and a carabineer-style attachment for your heavier tools. 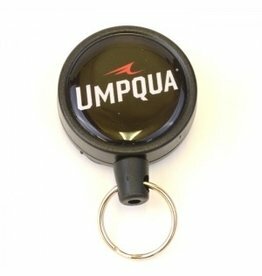 Tool size is approximately 1.75" in diameter. 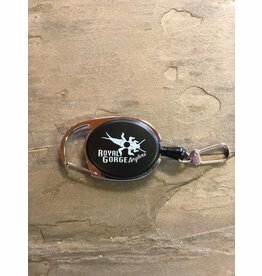 Stay connected Keep your wading staff secure and at the ready, with this bomber retractor built with a braided Spectra cable. 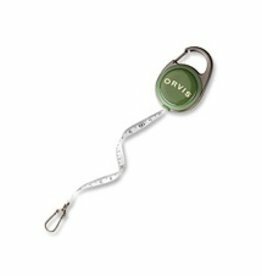 Featuring an ample three feet of reach, Retractors conveniently connect to both wading staff straps and sheaths. 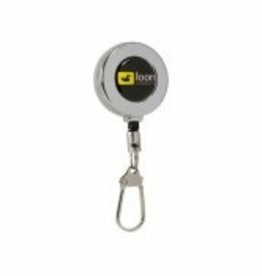 Pin On Fisherman Tool Retractor with 16" Cable. 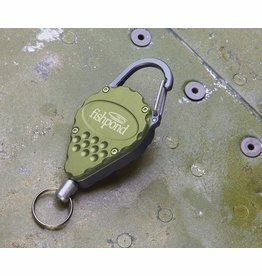 Simply the best Zip Retractor made for fishing. 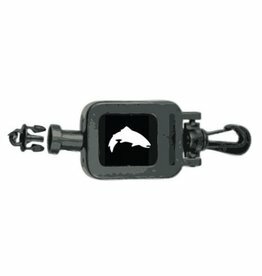 » Durable steel wire cord. » Matte Graphite finish reduces glare. 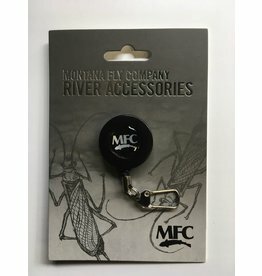 Montana Fly Company Black Pin-On Ziner with Nylon coated steel wire cord.